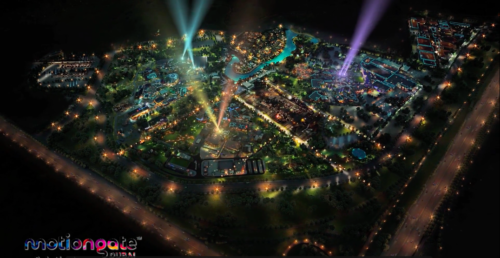 « Dubai Set to be New Theme Park Capital of the World? While the average theme park fan might see news of all these theme park projects in Dubai and think “this is incredible!”… all I can think is: how? Today we are going to look at the viability of how this many theme parks can stand to open in one region within the next five years. Surely you’ve got questions. We’ve got answers. The question you must be asking is, “why do Six Flags, Legoland, Sea World and more want to pour all their money into such a gamble?” In short, they’re not. Nearly every single one of these deals costs next to nothing (or actual nothing) to these brand names. While all deals are different and even if I knew insider info on how much of a percentage these companies get to license their name, logo and branding, I couldn’t share it here. Typically speaking, a licensing deal like this consists of a yearly annual fee to the company, as well as a percentage of the admission ticket. In addition, merchandise featuring characters, logos or branding get a larger percentage of revenue back to the licensee, as well as unique food and beverage. All of the cost to build, operate and maintain these parks is coming from private investors. Editor’s Note: The people financing parks in the Dubai area and beyond have far more money than I could dream of. Therefore everything listed in this article is based on speculation and TPU is a mere speck of dust that can be flicked away by any of these investment tycoons. Thank you. Many readers may remember that this isn’t the first time Dubai was going to give Orlando a run for their money. 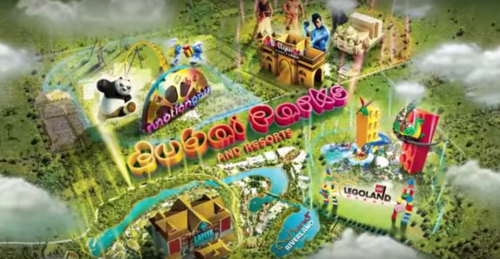 Back in 2006, several announcements were made and some very familiar names were involved for new parks in Dubai. Six Flags, Universal, Legoland… hell, even Sea World was going to build an island containing four theme parks (Busch Gardens, Sea World, Aquatica and Discovery Cove) all in the shape of a killer whale. Oh how times have changed. 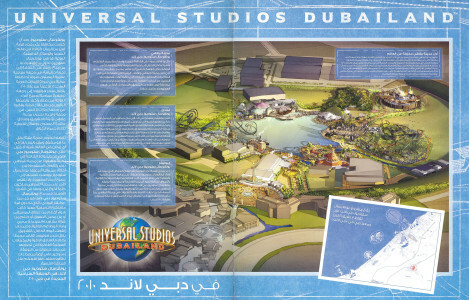 All of those original plans were scrapped and the only one that broke ground was Universal Studios Dubai. For those that don’t remember, in 2008, the world-wide economy was spiraling out of control with gas prices at an all time high, real estate hit the skids and the term “staycation” was coined. Before things got worse, investors decided to cut their losses before the parks could come close to opening. Probably a good decision. Fast forward to 2016 and my have things turned around. The global economy has not only been stable, it’s flourished. In addition, Dubai is gearing up for what they hope will be a huge turning point: the 2020 World Expo. A modern version of the World’s Fair, this event will bring in 180 nations and an estimated 25 million people to the Dubai area between 2020 and 2021. Not only will these parks provide additional recreational options for attendees, but the hope is that this will give momentum for Dubai to be an international tourist destination to rival Orlando for years beyond the Expo. Could the Dubai theme park bubble burst again? Absolutely. You never know. The economy could take another dive. The Dubai World Expo could be a flop. The danger here lies in the fact that these parks could actually open and because of the large expenses to operate them, could close quickly if they don’t turn a profit within the first year. This is where the risk comes in for the intellectual property holders. Ask anyone in Hard Rock corporate what they feel was one of the biggest blunders in their company’s history? 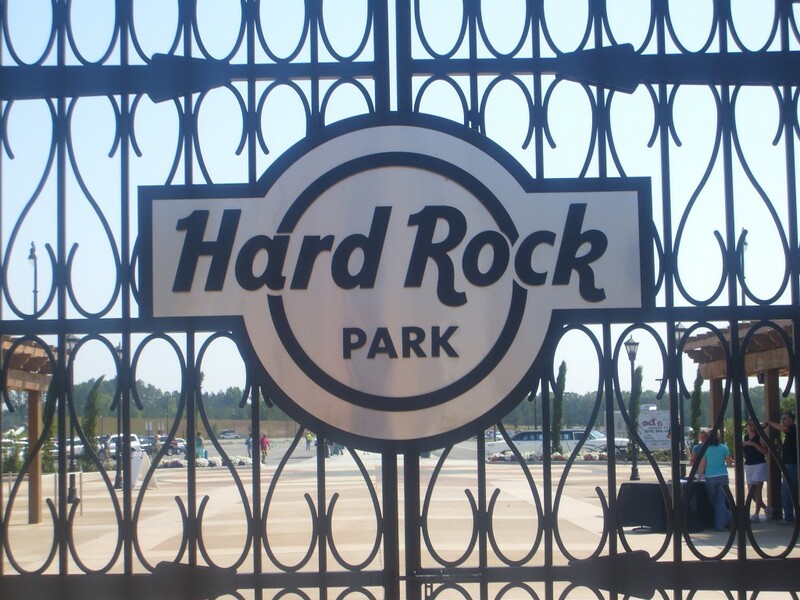 You’re more than likely to get an answer of Hard Rock Park. Again, their name was licensed and they had nothing financially to lose, but reputation means a lot to these mega brands and headlines of “closed theme park” don’t look good no matter who paid the tab. We’ll keep a close eye on how these up and coming parks in Dubai pan out. My bet? At least one of them won’t see the light of day because investors will get cold feet. That’s my guess. Take it or leave it. Your thoughts? 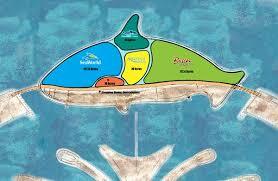 This entry was posted in Theme Parks 101 and tagged Dubai theme parks, Legoland, Sea World, Universal. Bookmark the permalink. Trackbacks are closed, but you can post a comment.